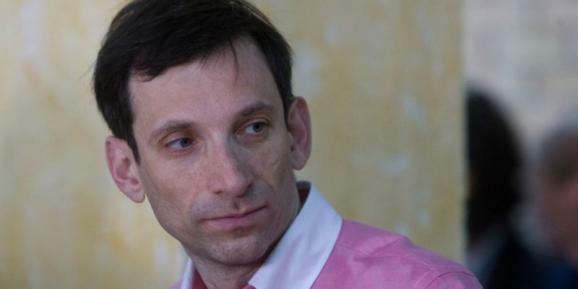 Journalist Vitaliy Portnikov is calling for an examination of events that took place near the Russian Embassy in Kyiv on Saturday, June 14, in a statement posted on his Facebook page, reports Espreso TV. As previously reported, protestors threw stones and smoke bombs and overturned cars at the Russian embassy in Kyiv. The reason for the demonstration was the death of 49 military who died during the night of June 13-14 when their plane was shot down by terrorists while landing at the Luhansk airport. EuromaidanPR is a public initiative that, in line with the spirit of Maidan, provides truthful, reliable and accurate information on developments in Ukraine. If you would like to support our activities you can do so here.